We're here to make the world a better place for older people. Age International is the only UK charity working with and for older people in over 30 developing countries. We exist to change the world for older people: to respond to the needs, challenges and opportunities that arise from global ageing, by reducing poverty, improving health, protecting and promoting rights and responding to emergencies in low and middle-income countries. I am safe and secure, free from all forms of discrimination, violence and abuse. Find out more about age-friendly relief and why we give out cash in emergencies. For more on how Age International is working to prevent emergencies, click here. For more information, visit Age International's website. 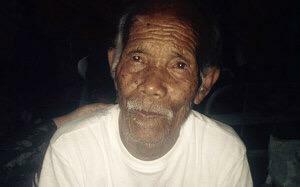 In the aftermath of Typhoon Haiyan in the Philippines older people saw their health suffer. Watch how DEC members - working through partners - used motorbikes to help vulnerable older people with health care in remote areas. Since Typhoon Haiyan crashed into the Philippines in November 2013, DEC member Age International has provided nearly 80,000 services to help older people re-build their lives. Age International's work helping older people in Lebanon get the health care and psychological support that they so desperately need. On 25 April 2014 a huge earthquake hit Nepal between the capital Kathmandu and the city of Pokhara, leaving thousands dead and many more injured. DEC member Age International has been quick to reach thousands of the older people caught up in the disaster; Meet the people they've been helping in this new update.